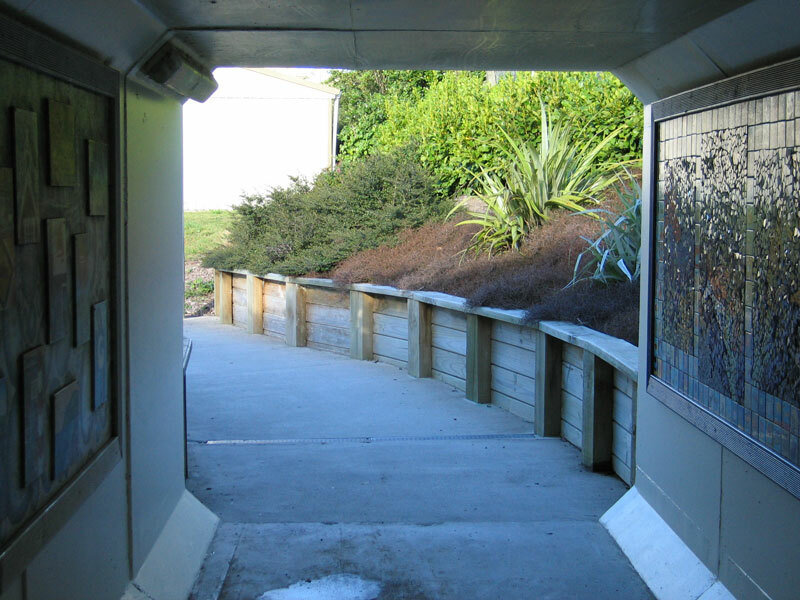 Linking Plimmerton domain to the village by a rail underpass has allowed easy access and encouraged development of recreational and sporting facilities. It also provides a large number of commuter car parks, a short cut to the industrial estate, and access to the Ara Harakeke Walkway for cyclists and walkers. The domain needed to be connected to the village. It needed upgrading to provide facilities for sporting and recreational pursuits. This area has blossomed since it was connected to the village by the underpass. It now provides plenty of commuter parking, facilities for sporting and recreational groups like archers and football clubs, and a short cut from the industrial estate and the Ara Harakeke Walkway. It is well used by families exercising dogs, walkers and cyclists. It will be further linked when the section of Ara Harakeke walkway from the rail crossing to the domain is completed, hopefully this year. PCC has installed lighting to increase flexibility of use in winter. PRA has produced and erected a sign in the new Ulric street motorhome park showing all the facilities in Plimmerton Village. The rail underpass is being used as a quick convenient way for visitors to access businesses in the village. It’s a quick walk through Plimmerton domain to the village. Click here for the info on the sign.